Fraser Valley/Toronto – Steve Mazurak, longtime Executive Vice President Corporate Partnerships, Retail Sales, and Game Day Experience with the Saskatchewan Roughriders Football Club and a former telecommunications executive, has been named Senior Advisor, Business Development and Partnerships with the Canadian Elite Basketball League’s Western Operations. The inaugural CEBL Showcase, scheduled for Sunday, August 26 at Ryerson’s Mattamy Athletic Centre in Toronto. The Showcase is designed to introduce players to the professional basketball league, and for league officials to meet and assess the skills of approximately 40 of the country’s top players. Only players invited by the CEBL will be in attendance. Assessments of players will include measuring vertical jump, sprint speed, agility, and height, weight, and wingspan. Skill evaluation will be conducted through drill work and scrimmages. The inaugural season of the CEBL tips off in May 2019 and runs through August with teams in Saskatoon, Abbotsford, Edmonton, Guelph, Niagara, and Hamilton. Teams will play 20 regular season home games, including 10 at home. Season tickets will go on sale this fall, with an announcement planned shortly that will inform fans on how to sign up for seats with a deposit prior to the public on-sale. Further information may be obtained at www.cebl.ca. 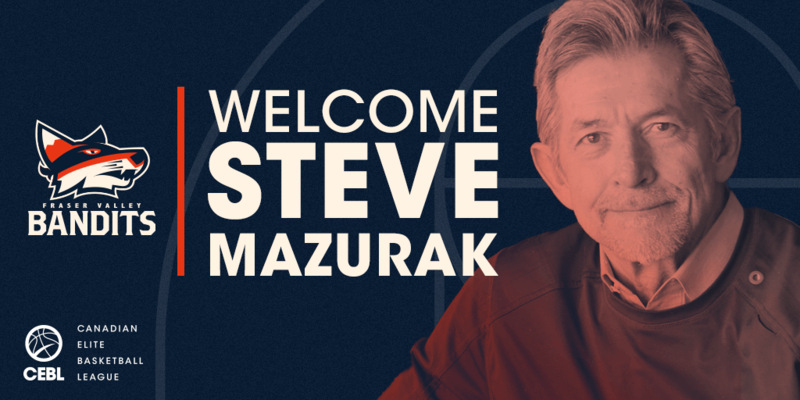 Be the first to comment on "CEBL – Bandit’s Mazurak Named to Senior Post, Player Showcase Announced"